Maryland Department of Agriculture (MDA) recently launched the State Chemist Product Registration portal that allows manufacturers to electronically submit registration renewals and applications for products. The Maryland State Department of Assessments and Taxation (SDAT) is streamlining the annual business filing process in Maryland by updating the paperwork all entities are required to file with the state. Maryland celebrates award-winning, citizen-centric website www.Maryland.gov, honored nationally and internationally by nine prestigious organizations this year and boasts 39 awards since 2014. The Maryland Department of Transportation Motor Vehicle Administration (MDOT MVA) has unveiled a new design and enhanced functionality for its award-winning and popular MD Practice Driving Test mobile app. The Maryland State Department of Assessments and Taxation (SDAT) this week released a new version of Maryland Business Express, which now includes PayPal as a payment option. Maryland.gov, was recently recognized as Best in Class by the Interactive Media Awards in the Government Website category. The Maryland Department of Transportation Motor Vehicle Administration’s (MDOT MVA) mobile MD Practice Driving Test, was recently honored with a 2016 Gold Horizon Interactive Award in the Mobile Apps for Education category. Maryland’s award-winning website, www.Maryland.gov, was recently honored with a 2017 Gold Hermes Creative Award and a 2016 Gold Horizon Interactive Media Award in the Government Website category. Giving back to veterans and their spouses who have given so much through their service has never been easier. Charlotte Hall Veterans Home now accepts monetary donations online. Maryland's award-winning website, www.Maryland.gov, earns a Gold AVA Digital Media Award in the Government Website category. The Maryland Department of Natural Resources’s AccessDNR mobile app was awarded the Platinum MarCom Award, the competition’s highest honor, in the “App for Information” category. The Maryland State Ethics Commission updated its Electronic Lobbying Reporting system to enable the Ethics Commission to accept electronic payments and Lobbyists can complete the entire registration process online. Maryland Business Express has been recognized by the Center for Digital Government with a prestigious Digital Government Achievement Award (DGAA) in the Government-to-Business category. As part of America's PrepareAthon! Campaign, Maryland Emergency Management Agency (MEMA) encourages Marylander's to download the award-winning MARYLAND Prepares mobile app. Maryland’s award-winning website, www.Maryland.gov, was awarded Best in Class by the Interactive Media Awards™. This honor recognizes that Maryland.gov has met and surpassed the basic standards of excellence that comprise the web’s most professional work. The statewide Maryland Safety Inspection System (MSIS) has successfully streamlined the vehicle inspection process by enabling the 1,600 vehicle inspection stations statewide to electronically record and report results to the MSP. The state of Maryland encourages online renewal through the Maryland Department of Agriculture (MDA) Pesticides Licensing and Certification Renewal Service. Maryland’s official website was recently honored with Distinction for Creative Excellence in Communications by the 22nd Annual Communicator Awards. In addition, the AccessDNR Apple Watch app won “Innovation of the Year” from the StateScoop 50 Awards. The highly popular Maryland Practice Driving Test mobile apps provided by the Maryland Motor Vehicle Administration (MVA) have reached a monumental milestone of half a million downloads from the iOS and Android App Stores. With Maryland’s hunting season now in full swing, thousands of hunters are taking along the AccessDNR mobile app from the Maryland Department of Natural Resources. Maryland’s award winning official state website, www.Maryland.gov, was recently honored by Government Technology and e.Republic’s Center for Digital Government’s prestigious Best of the Web Award competition. ​Maryland’s award-winning official emergency management mobile app, MARYLAND Prepares, from the Maryland Emergency Management Agency (MEMA), helps Maryland families better prepare for emergencies. With the launch of the new, mobile-friendly Comptroller Online Tax Payment Service from Comptroller Peter Franchot, it has never been more convenient for Marylanders to pay their taxes online. 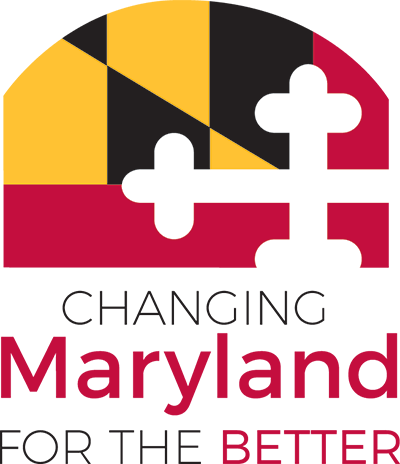 The State of Maryland recently released an updated version of the popular Central Business Licensing and Registration Portal (CBL), offering new features as well as improvements to existing functionality. The State of Maryland launched an updated design and innovative new features on the award winning official State website, Maryland.gov, that serves as the gateway for the 63 million visitors to Maryland state agency websites each year. The Maryland Motor Vehicle Administration (MVA) has received Innovation of the Year honors in this year’s StateScoop 50 Awards for their Online Vision Certification Service. The Maryland Motor Vehicle Administration (MVA) has released an upgrade to the highly popular Maryland Practice Driving Test mobile app that includes a Spanish-language version of the test for both the iOS and Android platforms. Enjoying Maryland’s great outdoors has never been easier thanks to the Maryland Department of Natural Resource’s new mobile app available for download in the Apple and Android App Stores. The Maryland Emergency Management Agency (MEMA) recently released MARYLAND Prepares, Maryland’s official emergency management mobile app, to help Maryland families better prepare for emergencies. ​Maryland.gov, http://www.maryland.gov, the state’s official website, has received a 2013 Best in Class Interactive Media Award from the Interactive Media Council, Inc. (IMC). The newly redesigned official website for the State of Maryland, http://www.maryland.gov was recently honored for its visual creativity and web innovation with a 2013 International Visual Excellence in the Multimedia Arts (VEMA) Award. The Maryland Motor Vehicle Administration (MVA) recently launched the Online Vision Certification Service to allow authorized vision providers to submit eye exam results electronically to the MVA. ​Governor Martin O’Malley recently unveiled the State of Maryland’s new and improved official website, www.Maryland.gov, introducing the most user-friendly and engaging portal yet.